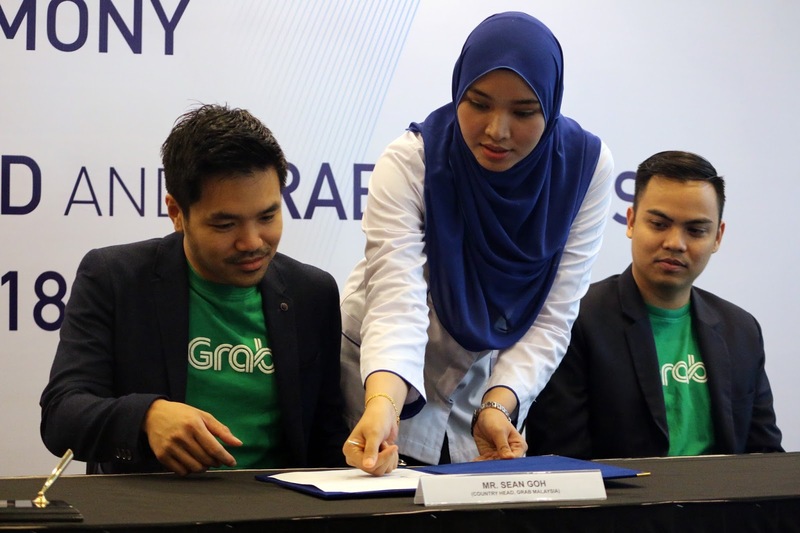 Grab Malaysia and Keretapi Tanah Melayu (KTMB) are sealing their year-long partnership to provide safe, convenient and affordable first and last mile connectivity for passengers on the country’s main rail network. Passengers of KTMB will also enjoy exclusive discounted rides during festive seasons such as Chinese New Year, Hari Raya Puasa, Deepavali and Christmas. 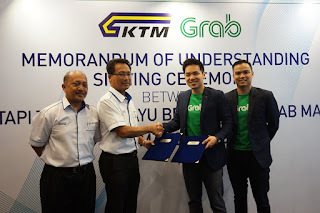 Although the official relationship has only just been formalised starting 15 March 2018, Grab has in fact already been working with KTMB and supporting with discounted rides since 2017 to passengers travelling for Hari Raya, Thaipusam and the Chinese New Year holidays. In addition to affordable rides, Grab is allocating designated pick-up and drop-off zones at all major KTMB stations for better pick-up and drop-off experiences. These zones with appropriate signages are already available at eight (8) Klang Valley major KTMB stations in Salak Selatan, Bank Negara, Serdang, Batu Caves, Kajang, Kuala Lumpur, Nilai, and Sungai Buloh. 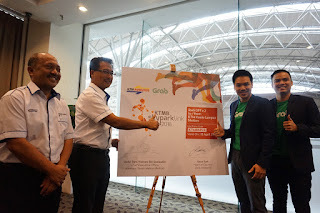 As part of the partnership, Grab will also be providing discounted rides to and from KTM Kuala Lumpur Railway station for the upcoming KTMB Skypark Link Run 2018 on 15 April 2018 (Sunday). Attendees of the run will only need to key in the promo code KTMBSPLR which will entitle them to RM5 off 2 rides. The main venue for the run is the iconic KTMB Headquaters, Jalan Sultan Hishamuddin, Kuala Lumpur. The KTMB Skypark Link Run 2018 is in conjunction with the opening of a new KTMB station, the Terminal Skypark; and a new train service, the Skypark Link which will start running in May 2018. The Skypark Link is a train service that will cater mainly for passengers who need to get to the Subang-Skypark Terminal (the airport). The KTMB SkyPark Link Run 2018 will see more than 1000 participants joining the fun and is organised to promote and create awareness of the new train service. For more information on the KTMB Skypark Link Run 2018, please visit www.ktmb.com.my .